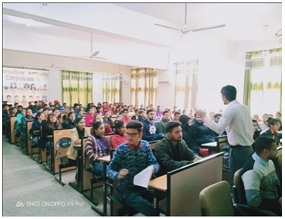 In order to update the various skills of Pharmacy students, Q-Spider training for all semesters commenced from today dated-10 Jan 2019, Today a Training Induction Program was organized for all students of Pharmacy. 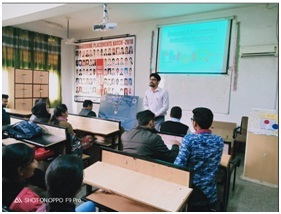 The main objective of this program was to sensitize the students for placement process and importance of training as imperative for placements. 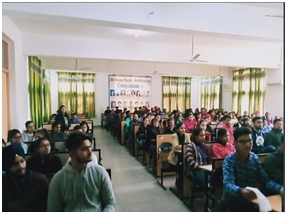 Ms. Sonam and Ms. Gazal, acknowledge trainers delivered the training session to 2nd sem, 4th sem and 6th sem students today from 9.00 am to 4.30 pm. The response received from students was overwhelming. 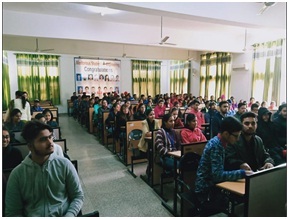 This will continue for the whole academic session (Jan-May 2019). Rayat Bahra Institute of Pharmacy is highly thankful to Dr. Chander Mohan, Worthy Campus Director for his unconditional support for this initiative. Rayat Bahra Institute of Pharmacy is also thankful to concern to their support.